Back again with a little eye tutorial! This one is for one of my everyday eye looks. This is my personal eyeshadow look for when I can't decide what I want to do, when i'm not feeling very inspired or when I just want something simple. 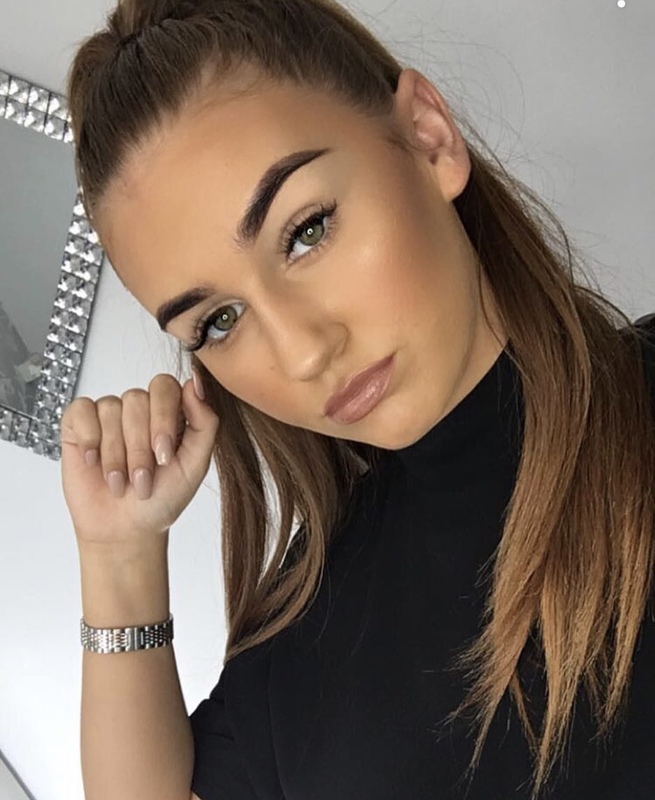 I understand that this may not be an everyday eye look for some but it works for me! 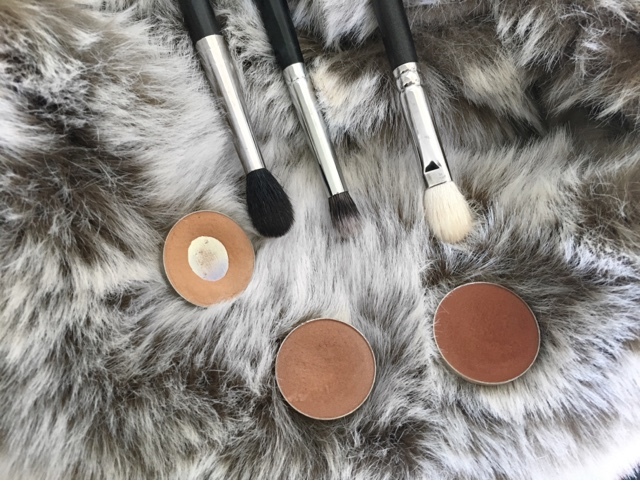 After priming my eyelids using a concealer and setting with a cream eyeshadow I use Makeup Geek eyeshadow in the shade Creme Brulee as my transition colour. Using a MAC 224 brush I use backwards and forward motions from the outer corner to the inner corner of the eye and gradually move it up into the upper crease when there is less product on the brush. Next I used Makeup Geek eyeshadow in Frappe with a MAC 217 brush to sculpt out my crease using the same backwards and forwards motions. To do this I keep my eye open and looking down into the mirror so I can see where I am focusing the eyeshadow so I dont go too far either way. I turn the brush vertically to make sure the eyeshadow blends seemlessly rather than focusing too much into the crease. I then go back in with the MAC 224 brush and blend the two shadows together further. 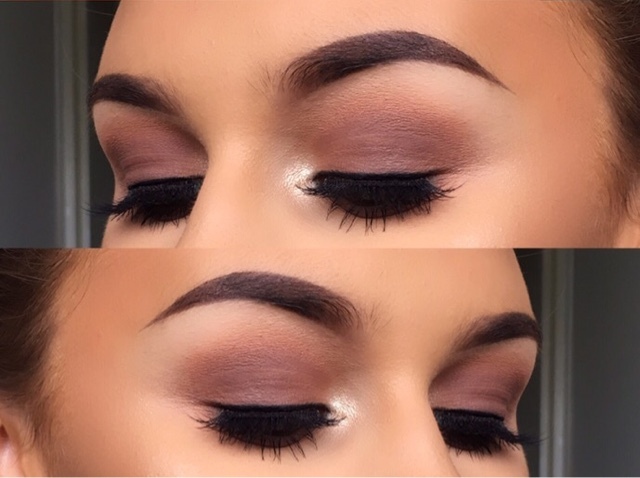 I repeat the last step using the Makeup Geek eyeshadow in Cocoa Bear. By using 2 or 3 colours in the crease area it gives the illusion of a deeper socket. After this step I use the same 217 brush and pack the Cocoa Bear eyeshadow all over the lid between the crease and the lashline. I then use a Morphe E23 brush and the Makeup Geek Frappe eyeshadow and blended this on the lower lash line, this brush is small enough for the lower lashline but fluffy enough to blend the eyeshadow seemlessly. I used a MAC 210 brush and Morphe gel liner in the shade Slate to line my lashline before applying mascara (Benefit Rollerlash of course!) and then apply my favourite false lashes which are Eylure lashes in the style 157. To put the icing on the cake I pop Mary-Lou Manizer highlighter from theBalm on the inner corner of the eyes using a pencil brush. This is my favourite product for an inner corner highlight as a little goes a long way and I do like that bright glow in the corner of my eye. So that's my everyday eye look for when I've no idea what look I want to do. What are your favourite everyday looks? What are your favourite products to use? Let me know in the comments! See you soon!